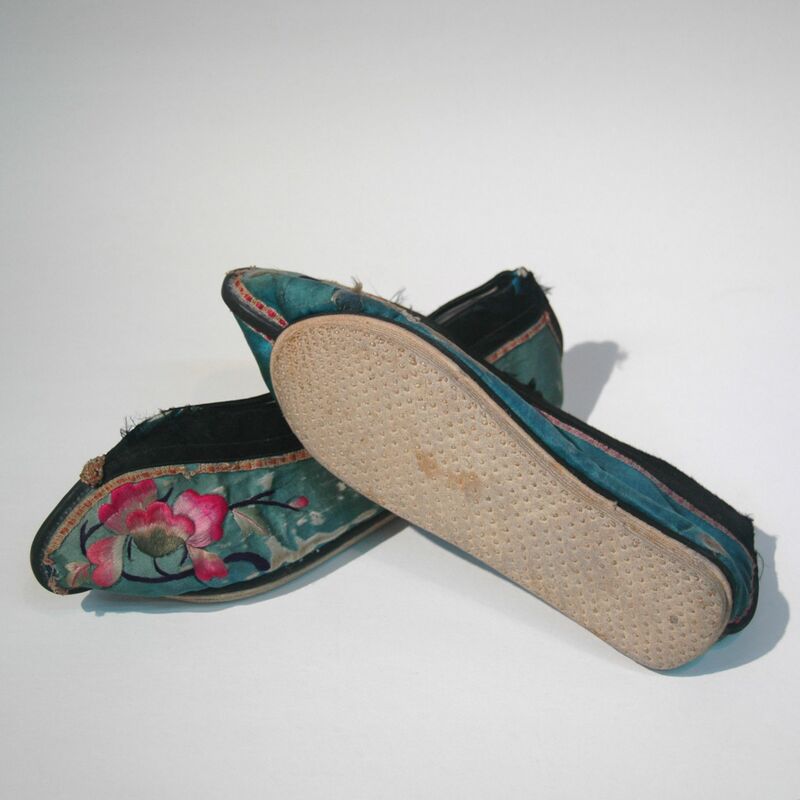 Use a newspaper to trace out the sole of the old pair of shoe, enlarge to suit. Prepare an addition one for a size larger. Cut out from the dried cloth pile 6 pieces from the larger template (large filler – LF), 7 from the smaller (small filler – SF) one and 2 smaller pieces for the heel (H). Put the pieces of the same size together, clamp them and give it a good trim so that they are the same size and shape. Reverse the template and cut out the soles for the other shoe. Take a piece from the large filler and mount a piece of cotton, wrapped the edges over to the top. This will become the bottom layer of the sole (BS), the piece that touches on the ground. Take the other 6 larger fillers and stick on a cotton piping around it. Then places the fillers in the order; BS-LF-SF-LF-H-SF-LF-SF-LF-SF-LF-H-SF-LF-SF-SF-SF. Stitch temporarily to hold them together, clamp it well and sew the edge with hemp string (you will need an awl for this). Then make uniform and small stitiches (as seen in the photo) throughout the whole of the sole. The completed sole is then brushed with warm water and covered with a blanket overnight. The next morning, the sole is compressed with a mallet and air dried.